Our flight from LAS -> SFO was scheduled for 8:30. We spent the day at the Vdara fitness center and pool, but we tired of that around 5pm and headed to the airport. Our flight departed from Terminal E, but the lounge is located in Terminal D. We told our driver to drop us off in Terminal 3, where we cleared security and proceeded to the train that took us to the D gates. I presented by AmEx card to the front desk attendant who simply swiped it and let us in. 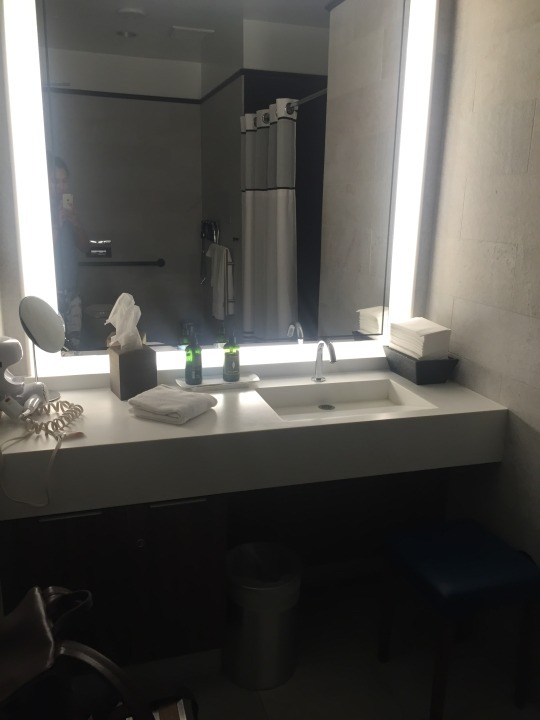 He was not particularly friendly or welcoming, compared to my experience at the IAH lounge (where the attendant asked which lounges I had been to and booked a spa appointment for me) or the SFO lounge (where the attendants always offer to give a tour). We settled into one of these chaise lounges to relax and nurse our hangovers. I love them because they can pretty easily accommodate two people. 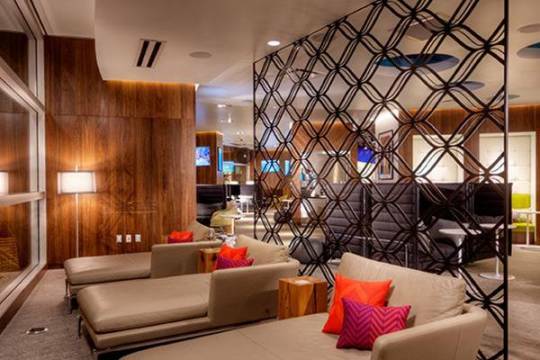 AmEx chaise lounges (photo from http://thecenturionlounge.com/location/LAS). 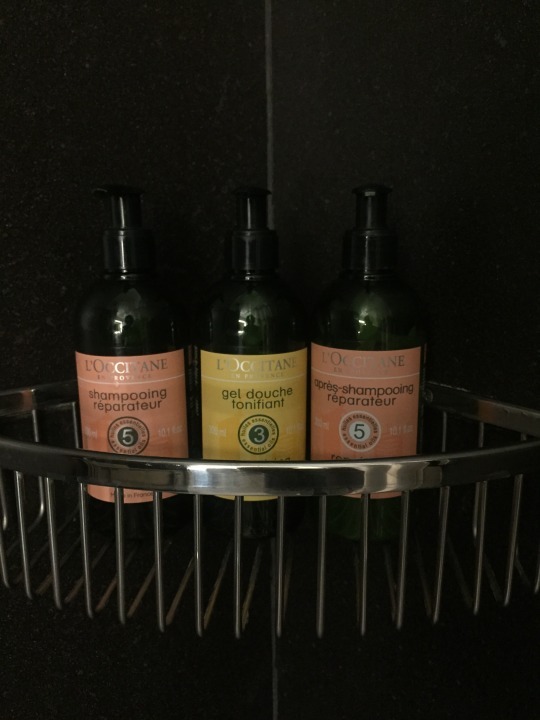 Since we were arriving in SFO around 10pm, I decided to shower at the lounge. 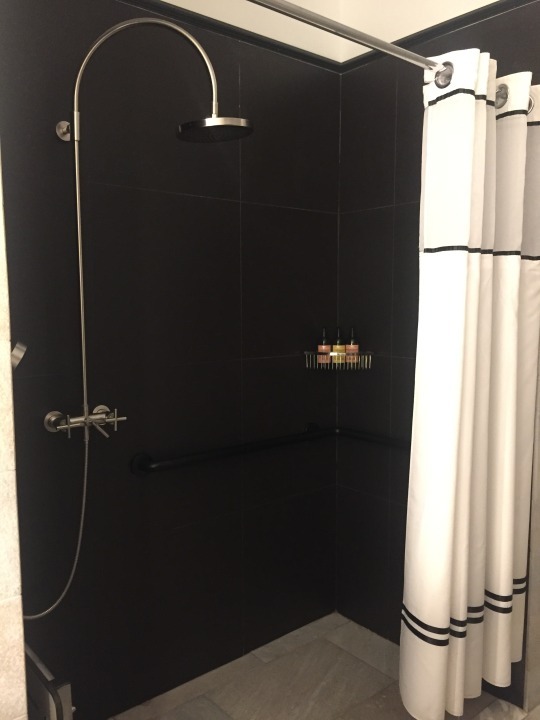 The shower door was locked, and I had to ask the front desk attendant to unlock it for me. Once inside, I was surprised at how large it was! The shower suite a toilet, sink + vanity area, luggage rack, and shower area. 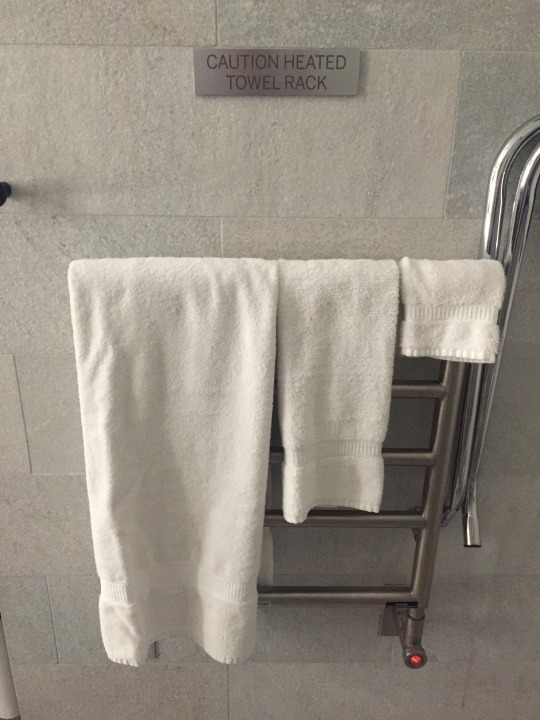 After a refreshing shower, I headed back to the chaise lounge to relax before my flight. 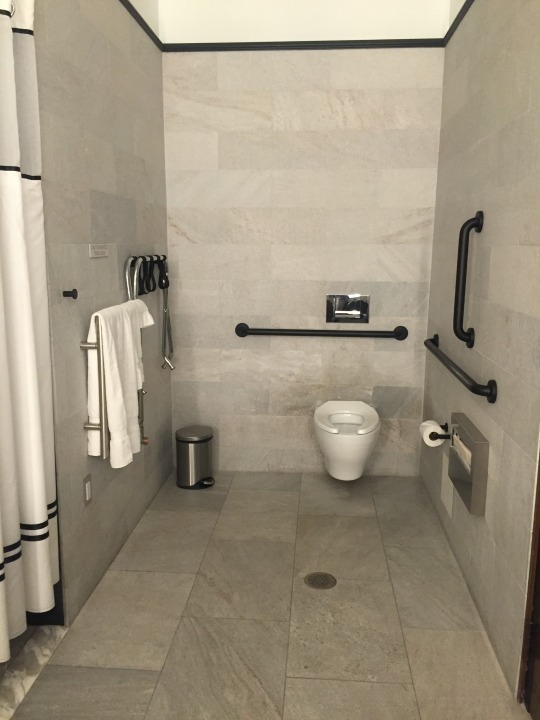 I noticed one person waiting for the shower suite after I was finished, and I wonder how the staff knows to service the shower suite, as it seemed like no one was keeping a close eye on it. 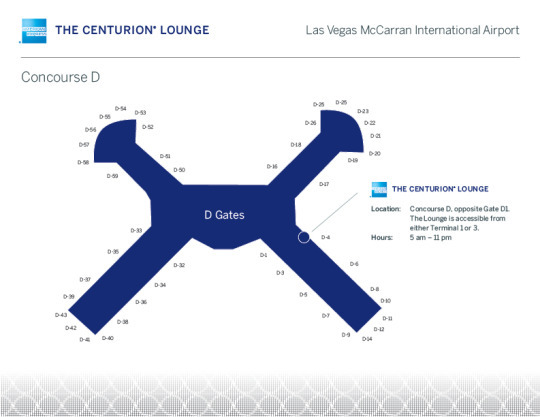 The Centurion lounge in Las Vegas is a great place to nurse your hangover before your flight home.